What Should i Pay Attention To When Processing LED Wall Washer Light? LED Wall Washer Light, as its name suggests, allows the light to wash the wall like water, mainly for architectural lighting, as well as to outline the large buildings, with energy saving, high luminous efficiency, rich colors, long life, etc. Features. Let us analyze the main application of the wall washer and the achievable effect. The LED wall washer is controlled by the built-in microchip. In the small engineering application, it can be used without controller, and can realize the gradient, jump and color. Dynamic effects such as flickering, random flickering, and gradual alternation can also achieve the effects of chasing and scanning through the control of DMX. In the process of producing high-power wall washers, anti-static measures need to pay attention and attention. For example, manufacturers have to set up special work regulations, and workers must wear uniform overalls, anti-static rings, anti-static gloves, etc. to ensure the wetness of the working environment. To the extent, an anti-static ion fan can also be installed to effectively avoid the harm caused by static electricity to the LED and improve work efficiency. In addition, the higher-grade lamps have higher antistatic performance than ordinary LEDs. At the same time of processing, LED Wall Washer Light pays attention to the light effect of the product. Under the treatment of nonlinear light effect, the product is light in effect and clear in design. And the color of the lights is also very rich and natural. Gives a very comfortable visual effect. Therefore, it is very suitable for installation in public places, and the color change function unique to the wall washers of the wall washer manufacturers can make the products appear more dazzling and attract more people's attention in commercial use. Therefore, such wall washers are favored by people, and the products undergo a series of processing to ensure the stability of the products is strong, and durable and reliable in long-term use. The increase of temperature will cause the internal resistance of the LED light source to become smaller, and the regulated power supply will increase its working current. When the rated current is exceeded, the quality of the LED will be affected, and even the high-power wall washer will be burned out. Therefore, it is more appropriate to select a constant current source for power supply during use, to prevent the LED lamp wall washing lamp from being affected by temperature. 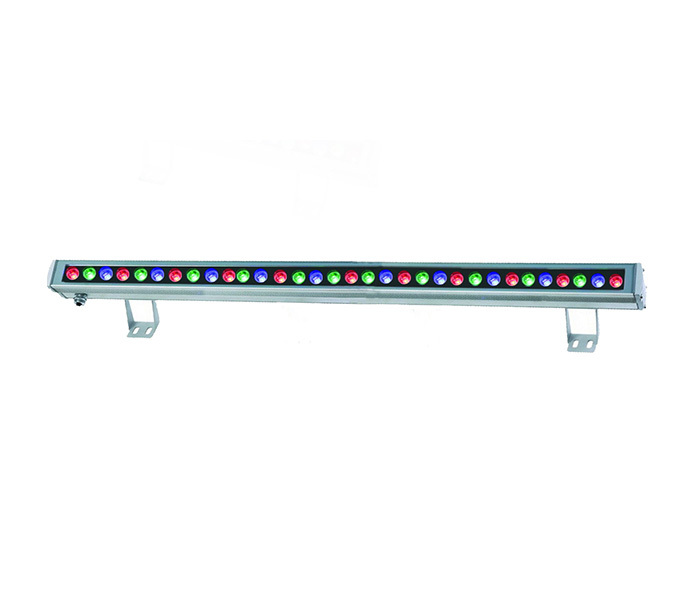 In the operation of LED Wall Washer Light, we can always reflect that the LED wall washer is convenient and technical operation mode, so it is more practical. And the stability of the light is also very good, so as to achieve satisfactory results. We are LED Wall Washer Manufacturer, if you want to know more about our LED products, you can contact us directly. Previous: What Should I Pay Attention To When Building LED Street Light?